Starting as a British Engineering company, Stothert and Pitt (S&P) built a very good reputation for manufacturing a variety of different products. Their range of pumps included Twin Screw and Internal Lobe Pumps. In 1999, the pump making business was taken over by The Albany Engineering Co Ltd, complete will all company records and drawings. This allowed us to essentially create new S&P pumps which fit into their existing pipework and position with the minimum of difficulty, to recondition pumps and to make spare parts. At Albany, we have also produced our own range of screw pumps, which you can read more about on the Internal Screw Pump page. George Stothert commenced business in Bath in the 18th Century. The company made their first pumps for fire engines in Bath at the end of the Napoleonic Wars. Our range of modern pumps started to be made with a licence in 1919 for internal rotary lobe pumps. These were first exhibited at the Royal Agricultural Show in Cardiff in the same year, which were a joint venture with a Mr Feuerheerd, who took out the original patent. These are long life designs for molasses and similar liquids with flows up to 350 tons/hr. Hundreds of these are used world wide in the sugar industry. As the only pumps originally on offer, lobe pumps were used for a wide variety of fluids which had differing viscosities. As alternative pumps became available, they settled on use for higher viscosity fluids for which they are so well suited. 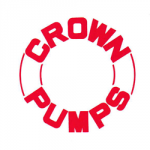 In 1935 a twin-screw pump licence was purchased from Houttuin Pumps in Holland. The design sold well to the Armed Forces, to Oil and Gas facilities and to refineries. 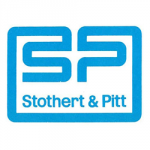 The Stothert & Pitt company also worked on the capability of screw pumps to handle multi-phase mixtures for crude oil/water and gas mixtures. The company went through different owners later in the 1980s and 1990s, and pumps were sold under the names Fluid Pumps (Bristol) Ltd, Beverley Fluid Engineering Ltd and Midland Fluid Pumps. 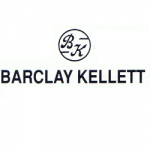 The Barclay Kellett range of gear pumps are heavy duty spur type pumps with packed gland sealing. The range was taken over by Albany Pumps, and we have manufactured their products at our Bradford factory ever since. Their range is ideal for viscous liquids such as bitumen, chocolate mass and cocoa liquor. Some sizes are available with steam jacket or integral relief valve, with many different models from the 2 ½ 8T Plain or Relief valve to the 44X 8T Plain or Jacketed being produced. 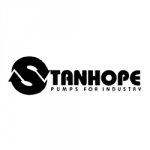 Albany Pumps took over the Stanhope Engineers company and began to manufacture their range of spur type gear pumps at our factory in Bradford. Their range include rotary hand operated pumps, heavy duty stainless steel spur gear pumps and more. Designed for pumping viscous liquids such as oils and paints, tar, bitumen, molasses and fats. We manufacture a range of spur type External Gear Pumps from our Bradford factory, which have been specially designed for pumping light to medium viscosity liquids at synchronised motor speeds. Ideal for use with lubrication systems and fuel oil ring mains, these pumps have many options that our customers can choose from to meet their needs.